CYRIL was born at or near the city of Jerusalem, about the year 315. 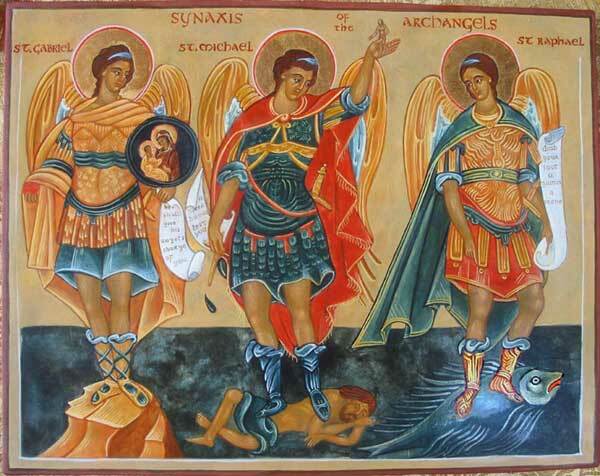 He was ordained priest by St. Maximus, who gave him the important charge of instructing and preparing the candidates for Baptism. This charge he held for several years, and we still have one series of his instructions, given c. 347. They are of singular interest as being the earliest record of the systematic teaching of the Church on the creed and sacraments, and as having been given in the church built by Constantine on Mount Calvary. They are solid, simple, profound; saturated with Holy Scripture; exact, precise, and terse; and, as a witness and exposition of the Catholic faith, invaluable. 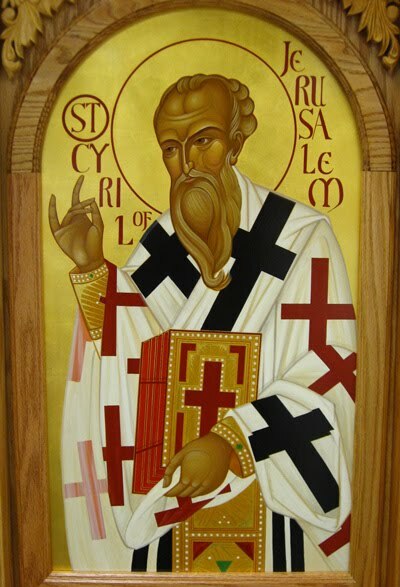 On the death of St. Maximus, Cyril was chosen Bishop of Jerusalem. At the beginning of his episcopate a cross was seen in the air reaching from Mount Calvary to Mount Olivet, and so bright that it shone at noonday. St. Cyril gave an account of it to the emperor; and the faithful regarded it as a presage of victory over the Arian heretics. When the attempt was made, a heathen writer tells us that horrible flames came forth from the earth, rendering the place inaccessible to the scorched and scared workmen. The attempt was made again and again, and then abandoned in despair. Soon after, the emperor perished miserably in a war against the Persians, and the Church had rest. Like the other great bishops of his time, Cyril was persecuted, and driven once and again from his see; but on the death of the Arian Emperor Valens, he returned to Jerusalem. He was present at the second General Council at Constantinople, and died in peace in 386, after a troubled episcopate of thirty-five years.